Europe Aerial Imaging Market is expected to register a lucrative growth between 2018 and 2024 with a CAGR of over 10%. Countries such as the UK, France, and Germany dominate the regional market due to an early deployment of drones by various industrial verticals. Growing usage of aerial and videography services for agricultural applications, especially farm management and precision farming and the increased adoption of drones for reconnaissance missions will accelerate the market growth. In May 2015, countries including Italy, Germany, and France agreed to launch new drone programs to strengthen Europe’s existing drone capabilities. This also helped them in reducing their reliance on the U.S. and Israel. The urban planning segment is expected to register the fastest growth rate of around 14% over the forecast timeline. Urban planners and developers are switching to the drone technology to retrieve data from hard-to-reach areas and highly populated cities. This helps them in effectively monitoring the urban environment and landscape architecture for better city modeling and planning purposes. The Netherlands aerial imaging market is estimated to grow at a CAGR of over 14% from 2018 to 2024. The market is driven by the growing use of drones in agriculture for crop monitoring and by government entities for conducting search & rescue operations, traffic monitoring, and the surveillance of hostile areas by defense forces. For instance, in May 2018, the Dutch Ministry of Defense purchased various UAVs, known as Black Hornets to support search, rescue, and reconnaissance operations conducted by the Dutch Armed Forces and Marine Corps. 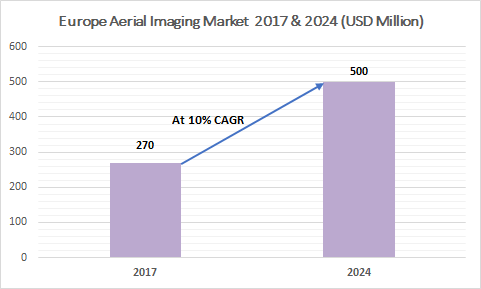 Some of the companies operating in the aerial imaging market are raising funds and also forming alliances to further strengthen their imaging and mapping capabilities. 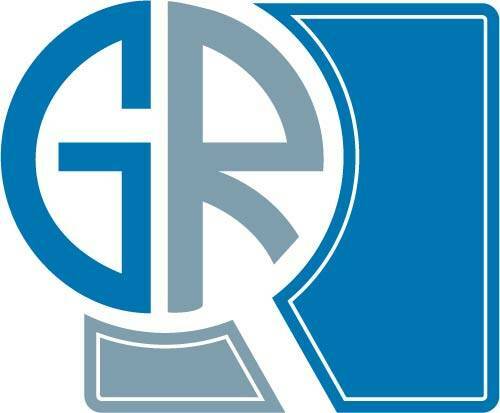 For instance, in June 2017, three German companies, Rohde & Schwarz, ESG, and Diehl Defense entered into an agreement to further develop the Guardion suite of systems. These systems consisting of various sensors and control systems helped them in tackling threats posed by the unauthorized use of drones. In August 2017, a UK-based drone firm, Sky-Futures received an investment of USD 4 million from a Japanese conglomerate, Mitsui. This helped them in expanding the use of Sky-Futures, a drone-based technology to Mitsui’s network in sectors including energy, marine, and infrastructure. The key market players operating in the Europe aerial imaging market include Fugro N.V., Cyberhawk Innovations, Parrot SA, Google, Global UAV Technologies, GeoVantage, Eagle View Technologies, Digital Aerial Solutions, PrecisionHawk, Landiscor Real Estate Mapping, Cooper Aerial Surveys, Kucera International, 3D Robotics, AeroVironment, DroneDeploy, and Hoverfly Technologies.